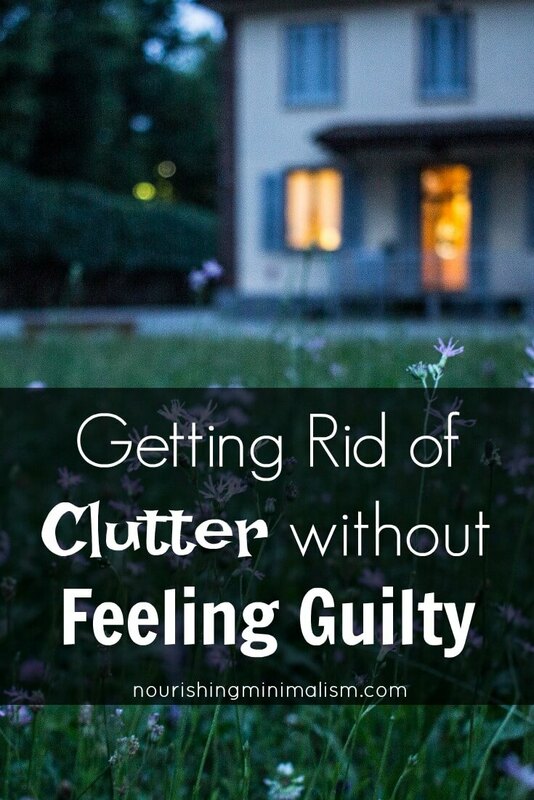 When you first start simplifying, it probably won’t be long before you come to items that you don’t want in your home, but you feel guilty about getting rid of. But is that guilt justified? How many times have you been given things you don’t want, use or need? They belonged to someone or were a gift from someone, or you feel guilty for having bought it. We have to limit what is in our home; we can’t possibly have everything. You have to decide what to let go of. It doesn’t matter if someone else thinks you should have it. If you have it in your home, you are the one that gets to decide whether it is valuable enough to stay in your home or not. No one else gets to decide, just you. This is your home and you are in control of the atmosphere that you allow in it. You get to decide what things belong and what things to do not belong. Not your mother, or grandmother, or sister, or dad or in laws… Just you. It’s hard at first, we don’t want to hurt people’s feelings if we get rid of things, particularly family heirlooms or gifts from family members. We are trying to manage everyone’s emotions. We want to avoid causing pain in anyone’s life. But at what cost? Stress? Anxiety? You have a choice: Possibly cause pain/sadness to someone or causing stress for yourself. You are not intentionally hurting people when you declutter items. When you are simplifying your home and working towards living minimally, it doesn’t give you permission to be hurtful. You can be very respectful when letting items go, and even if people bring you things, accept gifts graciously and decide what to do later. Embracing minimalism isn’t embracing an “in your face” attitude. You have to accept that you can’t (and shouldn’t try to) control what other people think and feel in the process. If items belong “in the family,” then ask family members if they would like to take the items. If no one in the family wants the items, it is not your responsibility to keep it just because no one else will. If you know no one wants it, doesn’t that make you feel a little bit better? You aren’t the only one that doesn’t want it. If they get mad at you for not wanting it, then they will need to figure out if it means enough to them to keep it or not. When something is given away, it’s a lie they are telling themselves: “Oh, I’ll give it to my daughter because she’ll enjoy it and maybe the grandkids will learn to sew on it and will bring sweet memories.” Regardless of the fact that they don’t like sewing and their daughter might not like sewing or might work full time and don’t have the patience to teach sewing or might have a small home without enough room to keep a sewing machine. They are only giving it to avoid feeling sad about the end of an era. Feeling sad is normal and healthy. It is sad that Grandma isn’t using her sewing machine anymore and it is sad that sewing is a lost art. But that doesn’t mean it’s wrong if you don’t use it or don’t to want it. It might not be practical. It might not serve a purpose in your life. So feel the feelings and let the items go to someone who will use it and treasure it, family or not. Just because you or your family doesn’t want something anymore doesn’t mean that it can’t serve someone else. Most of the things we don’t want are useful to others. Even broken furniture can be taken to maker-spaces and repurposed. Just because we decide to simplify doesn’t mean will we fill up the landfill. At some point, you will have to throw things away, and there is no other option. For many people, there are recycling options, and then for many others, there are not. I live in a state/city where recycling is challenging. There are bins at some stores where I can take some plastics and paper. And that’s it. If I want to make it easier on myself, I have to pay for a curbside recycling program. Side note: many people can’t bear the thought of filling up the landfills. I get it. I don’t want to add to landfills either, but that’s doesn’t mean that your home should be a landfill. Sometimes you have to make that difficult decision: either you throw it away, or you continue living a life filled with clutter. It’s hard. I know it’s hard! But you can do this. 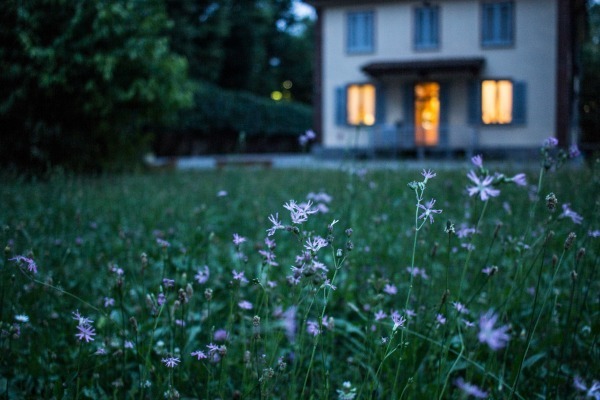 You can change your home’s atmosphere and you should. You need to do it for yourself, for your family and your environment. When you have that pit in your gut about having spent so much money or collecting so much clutter, you can face the reasons behind what you did, the reasons behind why you keep things and you can change. You can change from not habitually shopping or collecting. You can value the space in your home and think through what you allow to come in through the door. You are in control of your home and the atmosphere in it. I needed to hear this today. I have a beautiful cedar chest that my parents gave me as a child. I love it but it is broken and irreparable. Yet it is so hard to part with it. I appreciate the perspective here. I am doing this very thing at the moment. I have been doing a gradual, year long declutter, letting go of things that just don’t mean anything to me anymore or don’t bring me joy. I have left some items until now, when I have a bit more time (on long service leave) to tackle. I have a collection of fine China and hand turned wooden bowls ect that I inherited from my husbands grandmother and my father. These items have been very hard to let go of, but they really did need to move out of the house. What I have done is looked at each piece and kept only the ones I loved. There is still quite a collection but I figure at least it is a start. Thank you for your wise words they couldn’t have come at a better time. Have a lovely day. I am in the process of packing to move and needed to hear this. Thank you! If no one else in family wants, why should I get stuck with heirloom? Thank you for insight on guilt/keeping /discarding things. I have gone through this process and continue to do so. However, I feel like I am “sinning” when I put a recyclable item in the garbage, so I opt to spend the little bit of extra money in paying for the recycling option in our town. I figure that the time and gas and trouble of taking recyclables to a recycling center end up being more costly than having someone pick those items from my curb. I am working on zero waste, but am still a far cry from that, so I recycle “religiously”. My motivation on living as “green” as possible comes from Genesis – where God gives Adam dominion and also commands him to tend and keep the garden (good stewardship). I believe that is still a universal principle, so I try to abide by it. I decided to take photos of things and write a bit about it before getting rid of it. Sometimes there is a happy memory tied to it even if you want to let it go. Thank you! I really needed to read this! Now I finally know what to do with grandma’s old rocking chair that I like a lot, but have no space for. It’s in our garage taking space. 🙁 I’ll ask my cousins if someone wants it or it’ll have to go. do you have any ideas about working around a spouse who hoards books and papers and sentimental junk? I am trying to simplify a few rooms in the house for me to enjoy, but my husband has huge piles of books and papers and he seems to know if I pitch even one thing that he has not touched for months? Its so hard! Janet I have a husband like this too! And I’m doing a PhD at the moment so I’m not good with paperwork either. Can you agree on one room that can be a sanctuary to begin with? And a place where you can each put the other’s belongings if they start to encroach on the sanctuary? I have a desk where my husband puts my stuff. And his stuff goes in a cardboard box for him to sort through at a later time (if ever). But at least there is one place that is restful to sit in and mostly tidy!